Computer controlled vinyl cut lettering. 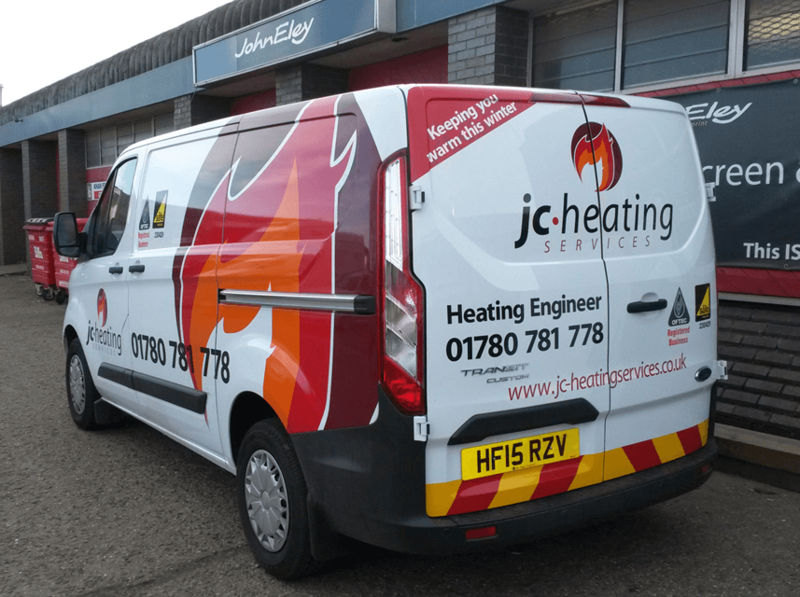 With over 120 different vinyl colours and over 1000 different letter styles available to choose from we are able to provide exactly what you're looking for. 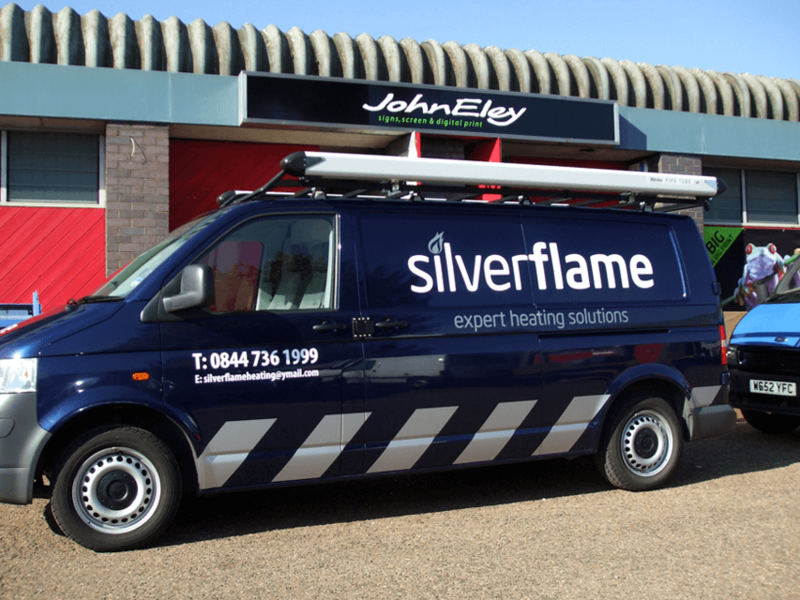 At John Eley's we're able to produce any kind of cut vinyl logo for your vehicle. 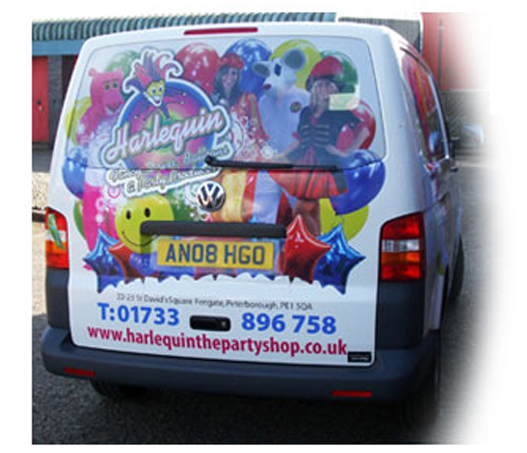 We can also provide logo design for you as shown in this image - helping you to stand out and look your best on the road. 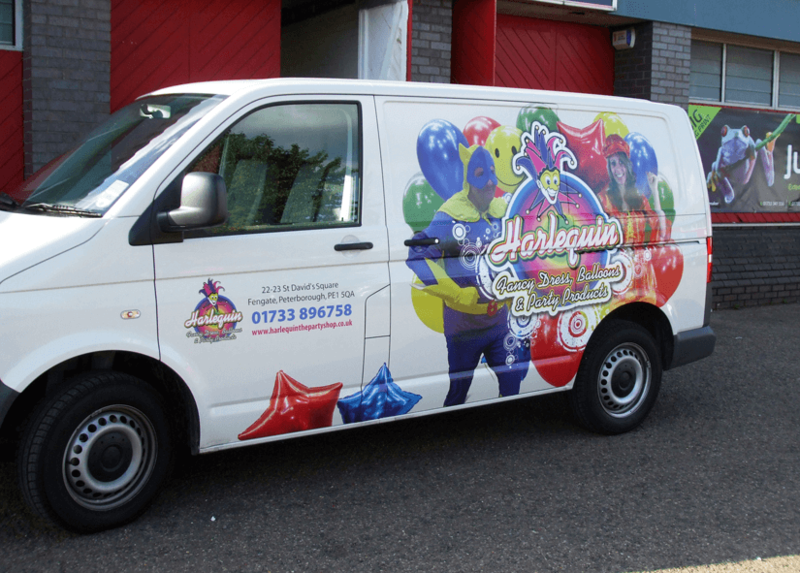 Using our in-house ECO solvent printers we are able to offer you full colour wraps that totally transform the look of your vehicle. As the saying goes - a picture says a thousand words and it's true. 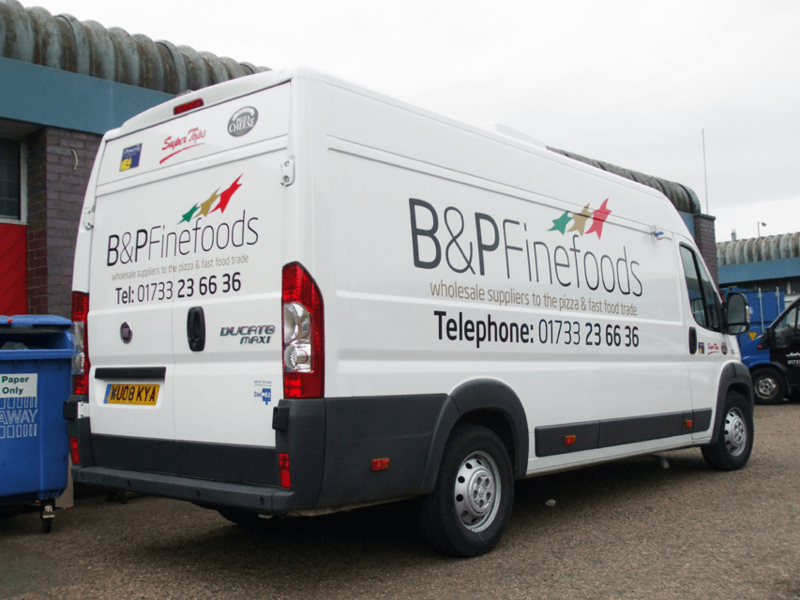 Get your message across ultra fast with the use of full colour images on your vehicle. Chevrons are a popular choice for marking service vehicles as shown here. Different colour combinations that can be used to suit your image and we also supply reflective chevrons that are extra effective at night time. We have used a One-Way Vision vinyl to the rear windscreen of this vehicle. It enables the driver or passengers to see through the image from inside yet remains a strong vibrant picture from the outside. 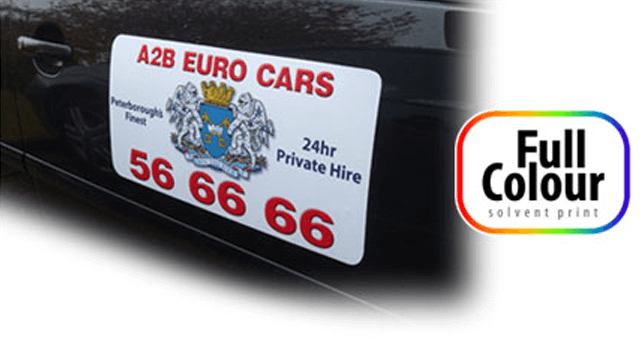 Magnetics are a good choice for professionals that want to use their vehicle for company use during the week and private use during the evenings and at weekends as they are easy to attach and remove. Partial vehicle wraps are less expensive and can often have a similar impact when designed correctly. Here the grass area works two fold - first as a grass image and secondly as artistic chevrons.